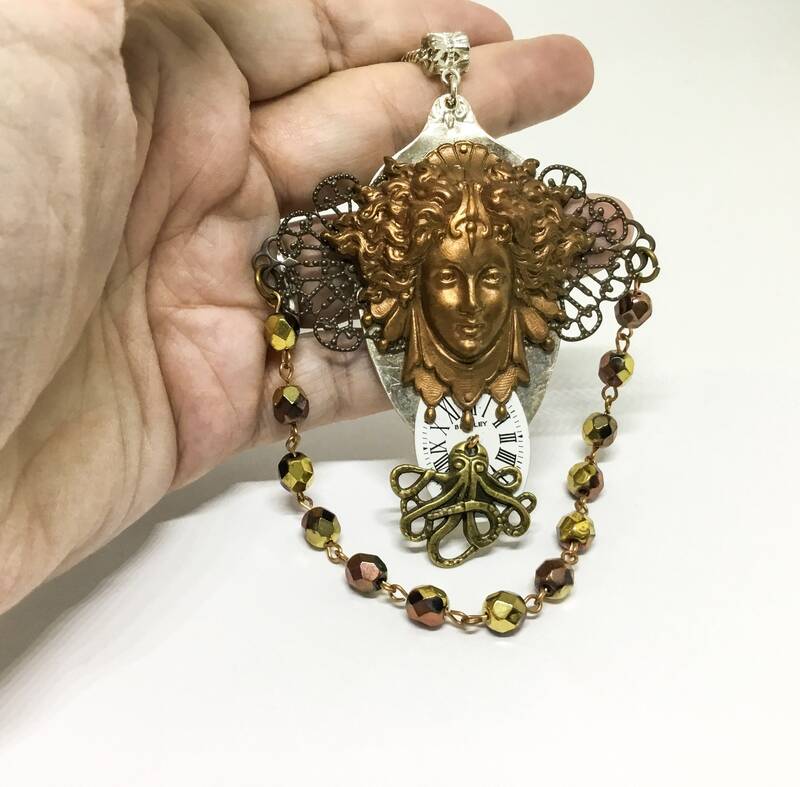 This is an amazing handcrafted Steampunk romantic pendant made by Steve in our studio. 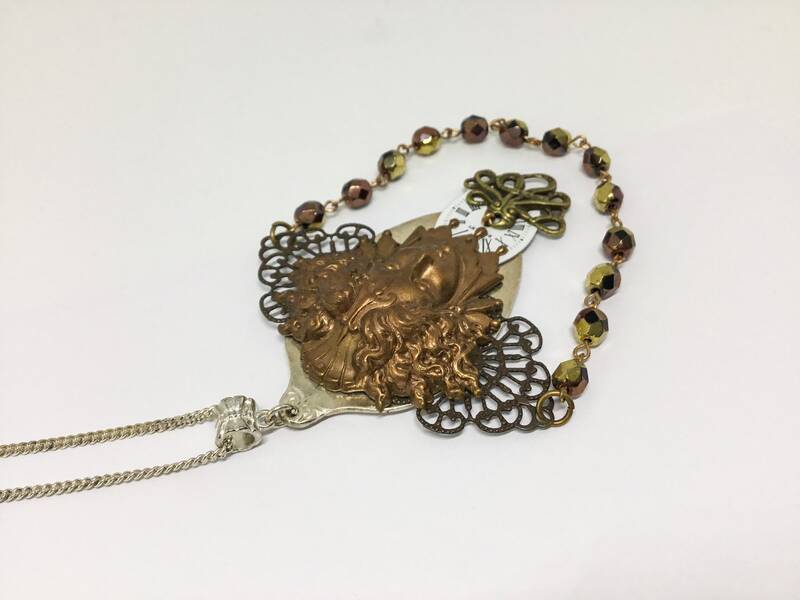 The vintage brass stamping of this French uniquely beautiful lady is stunning and regal and is from the 1920s Paris France. 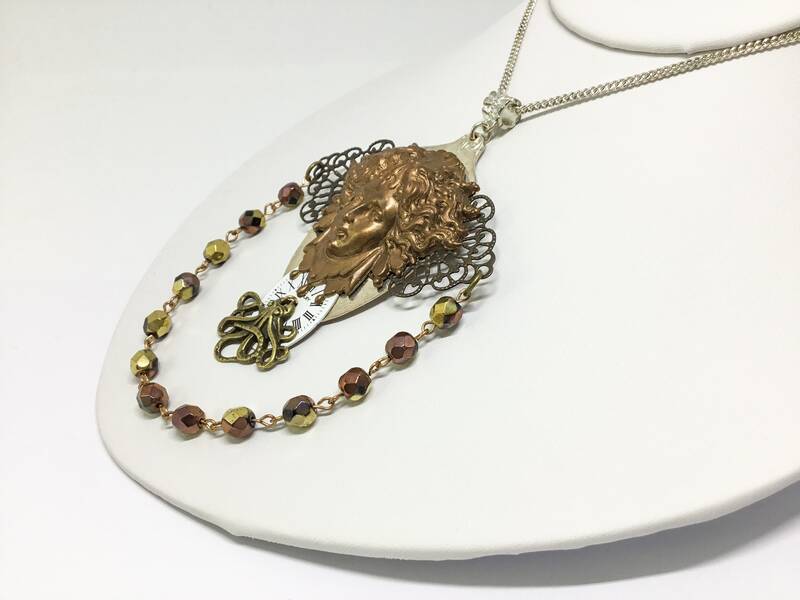 The base is a hammered silverplated spoon, the next layer is a darker filigree lace brass, and the lady with that wild head of hair is on top...all of this is then micro-riveted together. 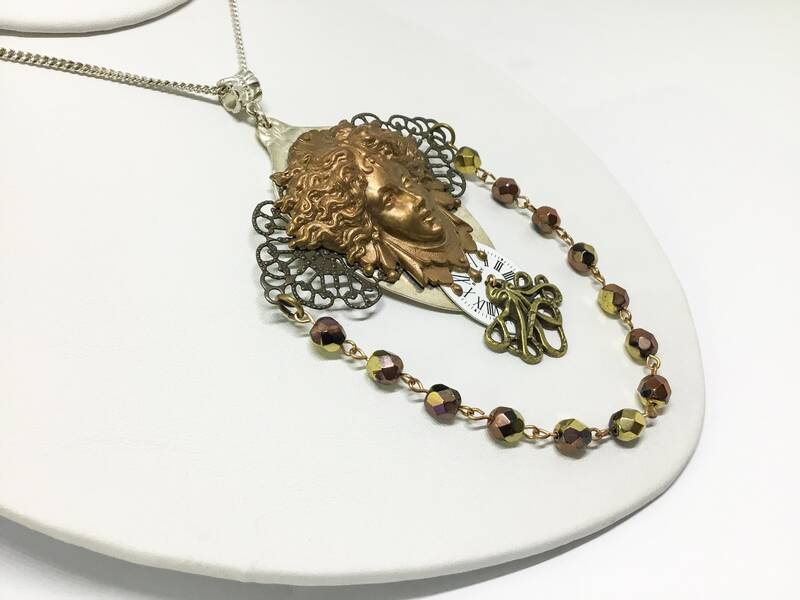 No glue was used in the construction of the pendant. Below that lovely lady is a white vintage watch face. On the bottom of the watch face is a dangling octopus that moves. 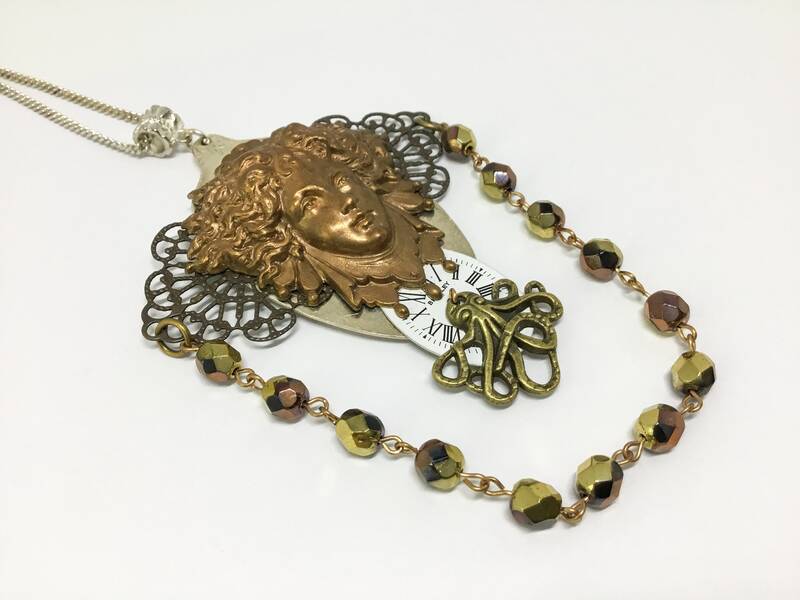 There is also a chain of awesome aurum beads that is strung from either end of the brass filigree lace. 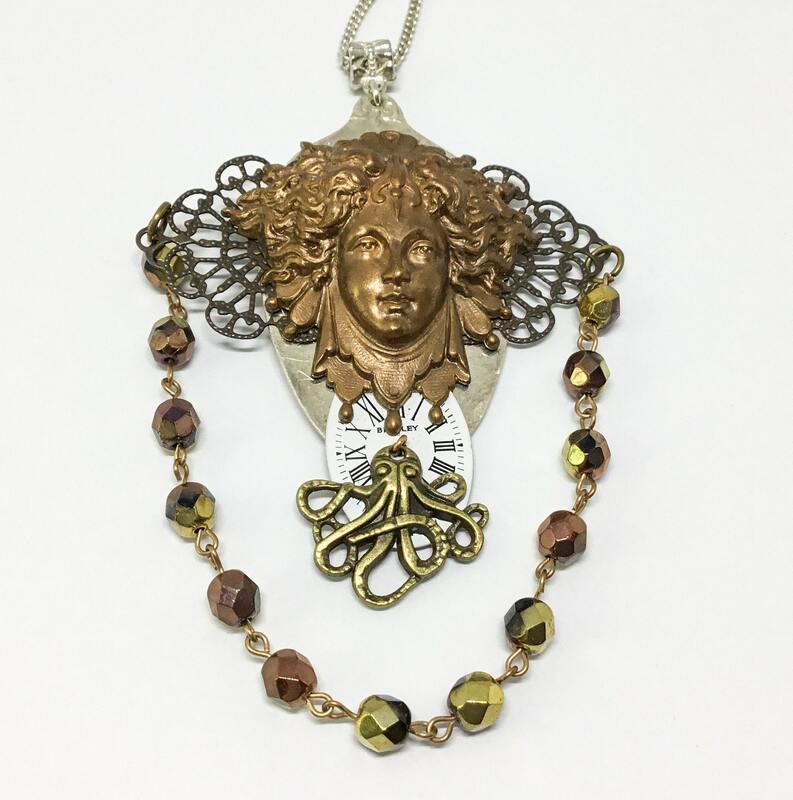 It measures approximately 4” x 2 1/2” and has an 18” silvertone chain. 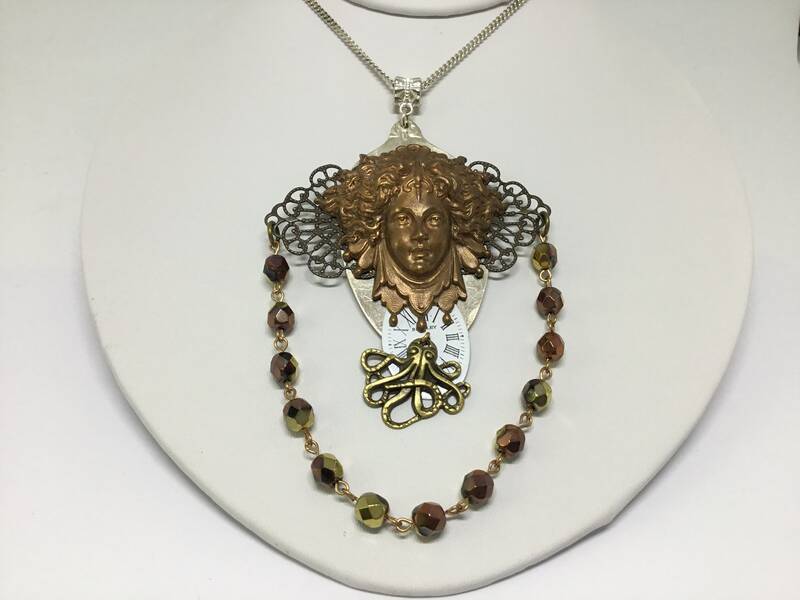 This is a one of a kind pendant for someone who loves Steampunk or just a beautifully unique piece!